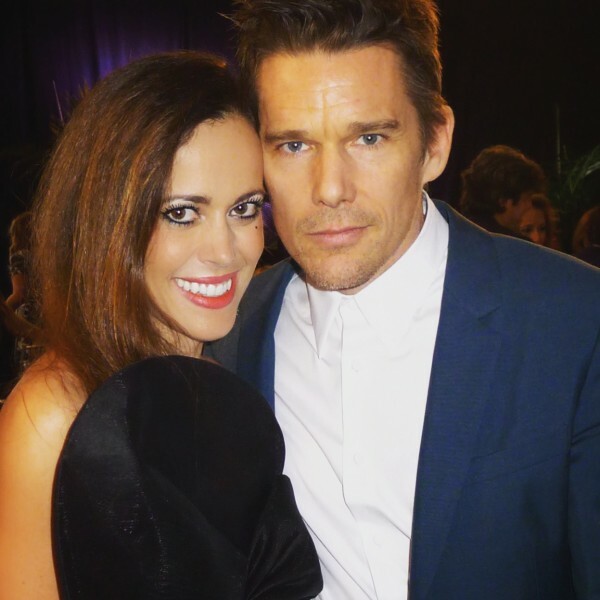 You are currently browsing the archives for the tag 'Eric Roberts'. 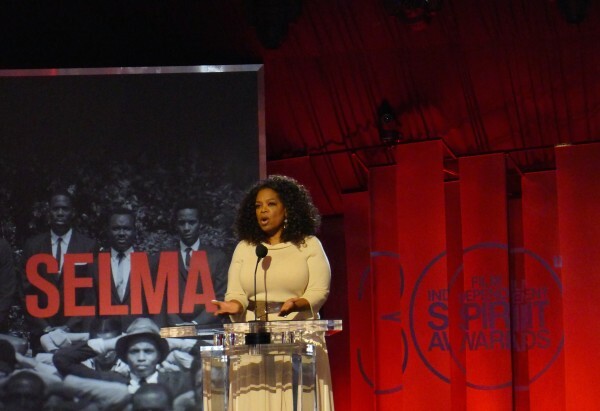 This weekend, the 31th annual Film Independent Spirit Awards will take place which celebrates artist-driven filmmaking and recognizes the finest achievements of today’s independent filmmakers. 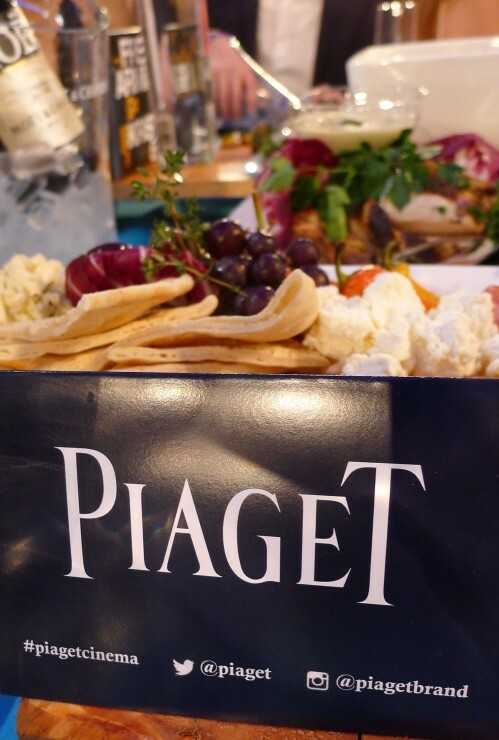 I am once more guest of Piaget and couldn’t be anymore excited about it. 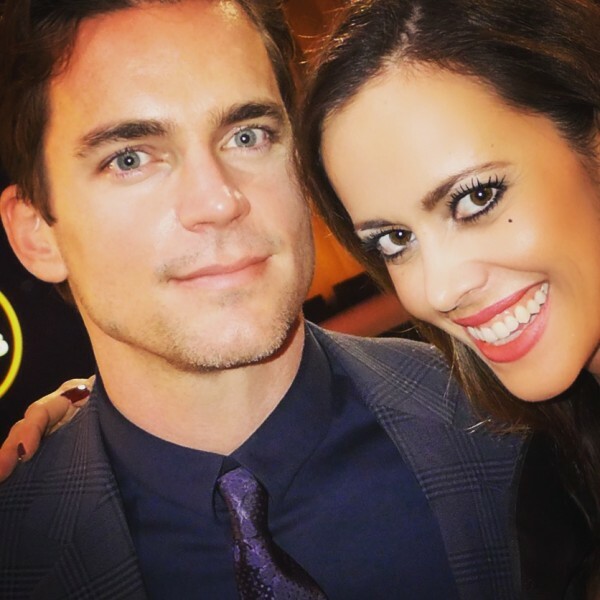 If you have a look at this post about last year’s event, you will understand immediately what I am talking about. One year ago, the sun and stars were out on a Saturday afternoon at the 30th annual Film Independent Spirit Awards, co-hosted by Piaget for the eighth consecutive year and held on the beach in Santa Monica. 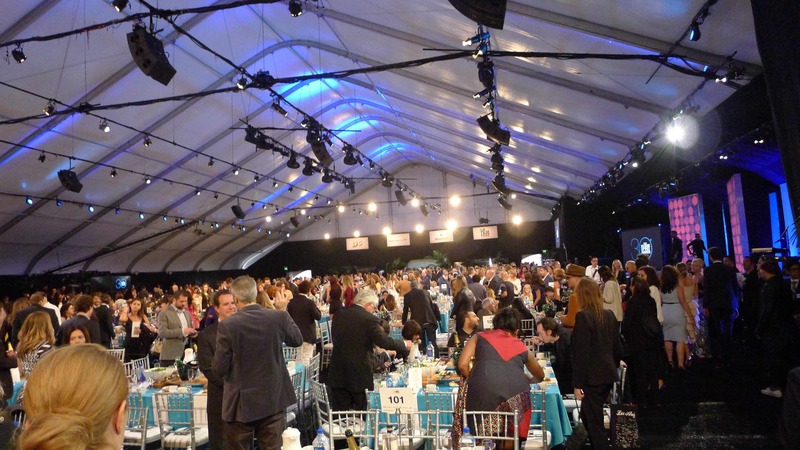 The event paid tribute to some of this year’s most important films and also attracted the biggest names in Hollywood, including the Swiss brand’s international brand ambassador and Best Supporting Female nominee for «A Most Violent Year,» Jessica Chastain, along with Michael Keaton, Julianne Moore, Scarlett Johansson, Cate Blanchett, Matt Bomer, Emma Stone, Patricia Arquette, Ethan Hawke, Oprah Winfrey, Olivia Munn, Miles Teller, Andy Samberg and Emmy Rossum. I am sure that you are curious how such an award ceremony takes place. So let me walk you through the different steps. Click here to get all details of me look. Emma Stone donned a lace Monique Lhuillier dress. 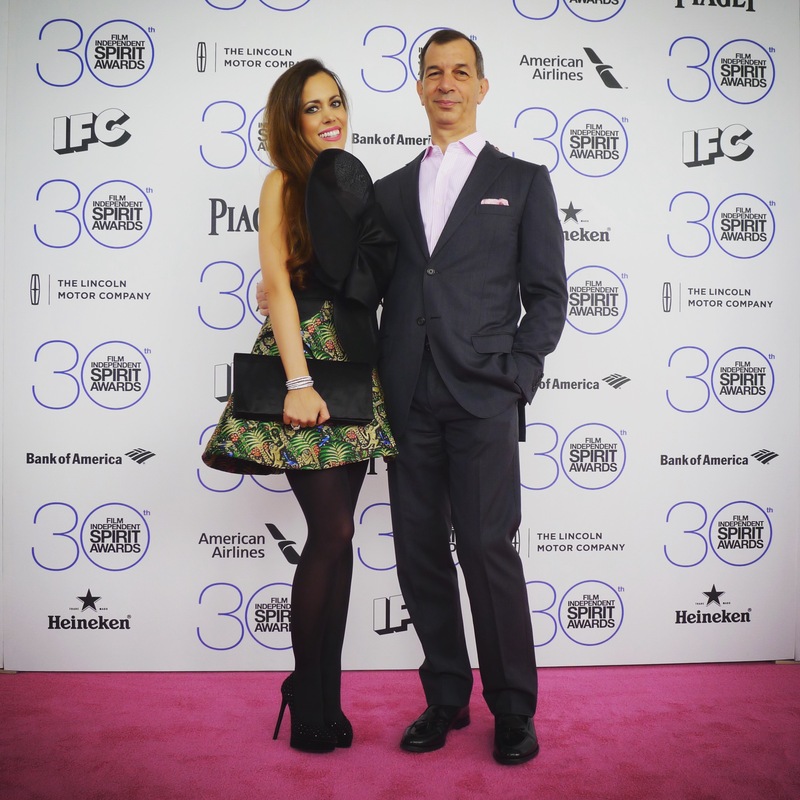 CEO of Piaget Philippe Leopold-Metzger framed by Swiss girls Lauriane Gillieron, Alizée Gaillard and myself. 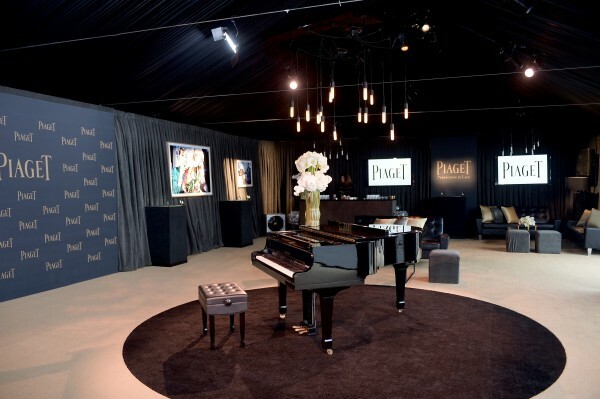 Before the award ceremony itself takes place, you can enjoy the start of the event in Piaget’s VIP lounge. Featuring modern, luxurious details and a grand piano in the center, winners, nominees and friends of the House joined Piaget CEO Philippe Leopold-Metzger for a celebratory glass of champagne and a peak at the High Jewellery Mediterranean Garden collection. 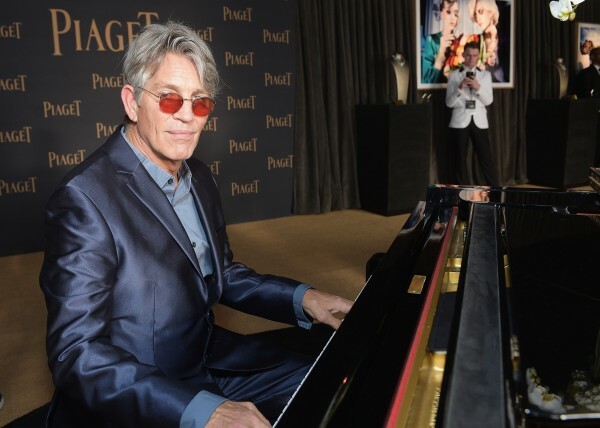 Actor Eric Roberts at the piano inside the lounge. Piaget was the jeweler and watchmaker of choice for many of the attending stars, including my humble self, who wore stunning earrings from Piaget’s Mediterranean Garden collection, along with my Limelight Gala watch and a rose diamond ring. 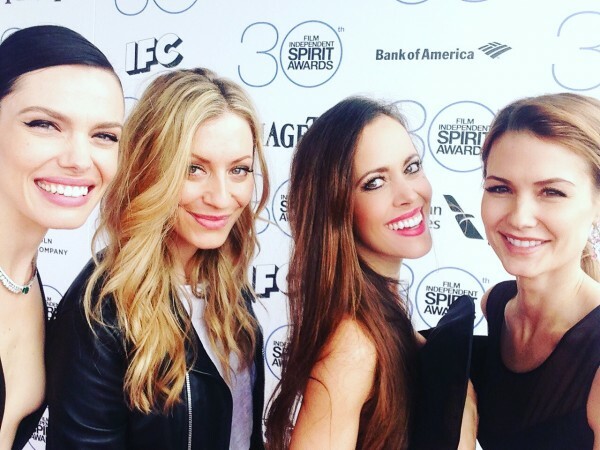 During the Independent Spirit Awards, you can get really close to the stars and have a chat with them. I did an interview with Jessica Chastain (if you are interested in reading it, click here please). 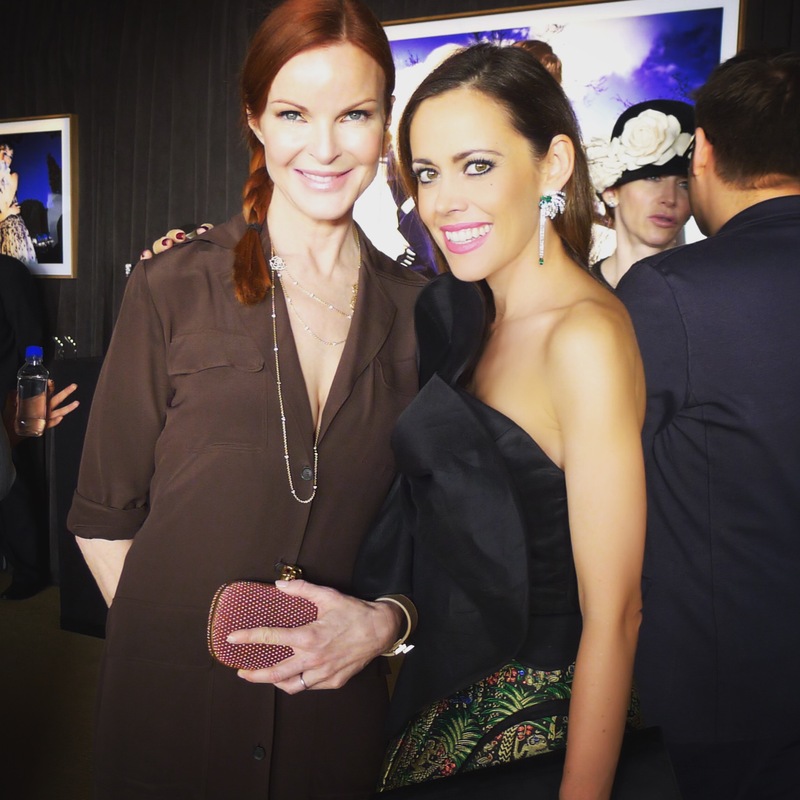 Marcia Cross wore a long Piaget Rose sautoir in rose gold. 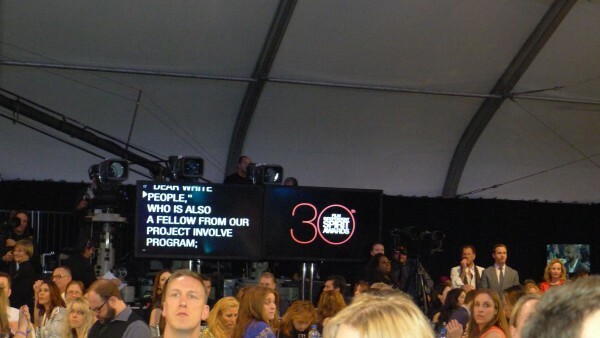 As the ceremony takes pretty long in general, you are very thankful for food and drinks. 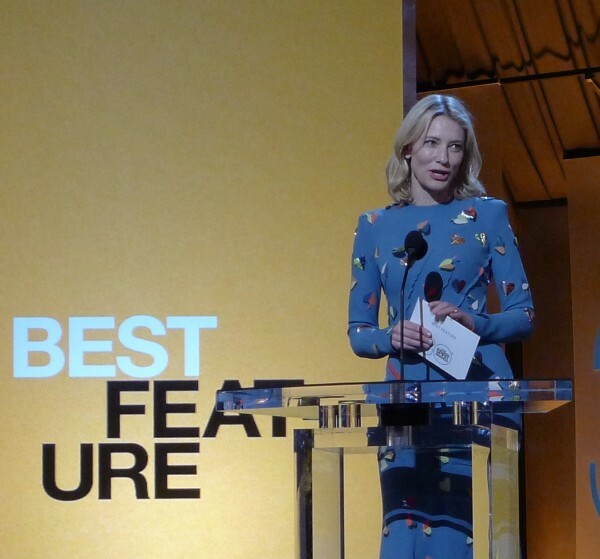 Cate Blanchett won Best Female Lead in 2014 and is nominated again tomorrow for «Carol», in 2015 she was presenting Best Feature which was «Birdman». 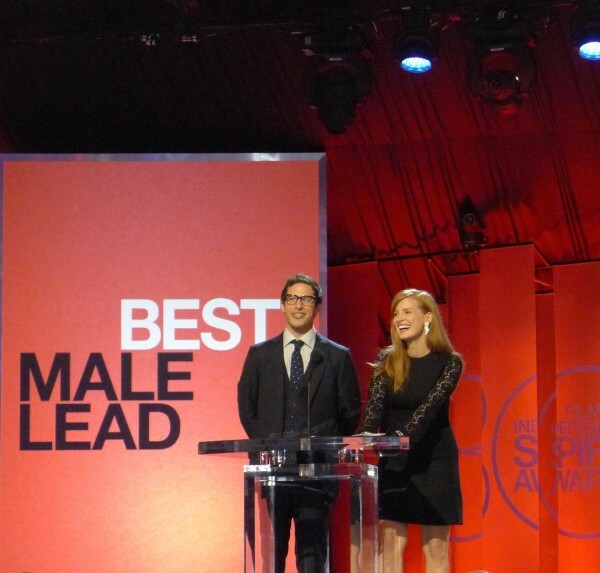 In 2015, Best Female Lead was the title for Julianne Moore for her amazing performance in «Still Alice». 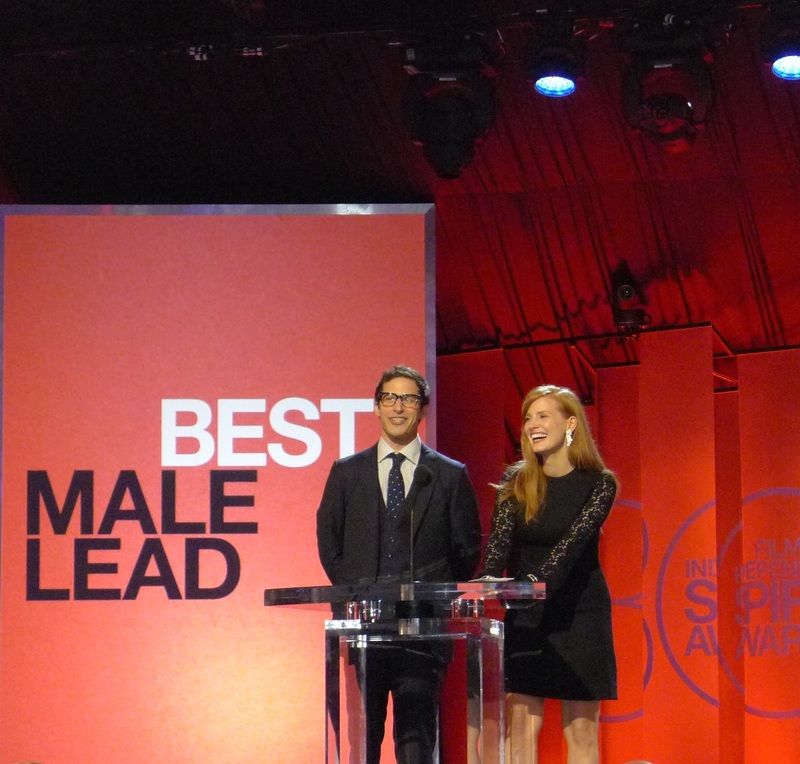 Jessica Chastain and Andy Samberg presented the winner of Best Male Lead: Michael Keaton for «Birdman». 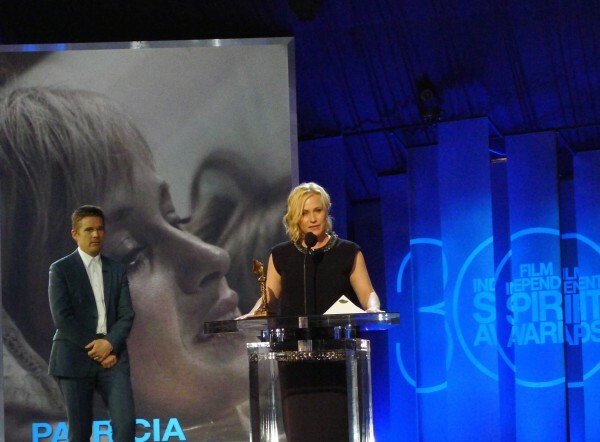 Patricia Arquette won as Best Supporting Female in «Boyhood». 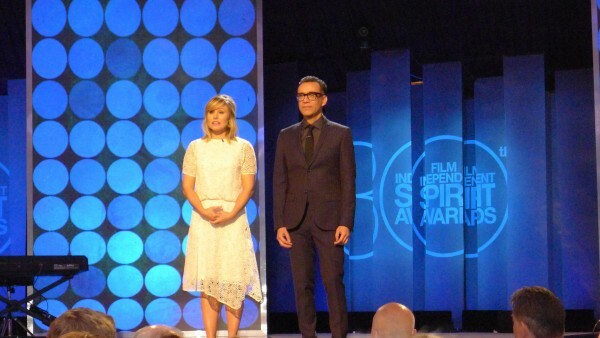 … which everyone including the hosts of the ceremony, Kristen Bell and Fred Armisen, were using. But the best about this trip is always to treasure the fun moments with your girlfriends and of course with you, my dear readers. I am so excited being back in my favorite city in the world and for tomorrow’s event! Stay tuned!